American basic cable and satellite television channel that is owned by the NBCUniversal Cable division of NBCUniversal, itself a subsidiary of Comcast. The network has steadily gained popularity due to its original programming; USA also broadcasts syndicated reruns of current and former ""network television"" (i.e., broadcast) series and theatrically-released feature films, as well as limited sports programming. 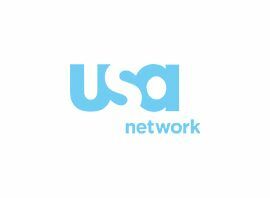 USA Network has achieved a viewership foothold with its original programming; this began in the 1990s with initial hits such as Silk Stalkings and La Femme Nikita, which were gradually followed in the following two decades by series such as Monk, Psych, White Collar, Suits, Burn Notice and Royal Pains. Most of its original series are scripted dramas, some of which incorporate comedic elements. In addition to its original productions, the network airs syndicated reruns of current and former network series such as Law & Order: Special Victims Unit, Law & Order: Criminal Intent (which spent the final four seasons of its run as a first-run program on USA) and NCIS. The network also broadcasts a variety of films from the Universal Studios library and select films from other movie studios (such as Walt Disney Studios Motion Pictures and Warner Bros. Entertainment), airing primarily as part of its overnight and weekend schedule, and occasionally during primetime on nights when original programming or marathons of its acquired programs are not scheduled. Since 1984, the network has been the longtime home of the Westminster Kennel Club Dog Show. USA is also the home of World Wrestling Entertainment´s flagship cable program WWE Raw; the series originally aired on the channel from its debut in January 1993 (when the promotion was known as the World Wrestling Federation) until the series moved to TNN (now Spike) in September 2000, before returning to the channel in October 2005. USA Network has a longstanding history with sports, dating back to its existence as the Madison Square Garden Network. The network carried Major League Baseball games on Thursday nights from 1979 to 1983, and the NHL on USA ran from 1979 to 1985. College Football on USA ran from 1980 to 1986, and its telecast of the 1981 Liberty Bowl was the first college bowl game to be exclusively broadcast on cable television. The NBA on USA also aired from 1979 to 1984, the first time that the NBA had a cable television partner. Upon the 2004 purchase of Vivendi Universal by NBC, USA´s sports division was immediately merged into NBC Sports. Since 2004, the network has broadcast select events from the Olympic Games, as part of an expansion of NBCUniversal´s broadcast rights to the Summer and Winter Olympics that allowed several of the company´s cable channels rights to telecast Olympic events live (some of which are later re-aired on tape delay on NBC as part of the network´s primetime and late night Olympic coverage). USA Network also carried games from the International Ice Hockey Federation in 2006 and 2010. During the 2014 Winter Olympics, USA aired English Premier League soccer matches in lieu of sister channel NBCSN, due to that channel´s full devotion to carrying coverage of Olympic events. After ratings success with those matches, USA began to air mid-afternoon Saturday games weekly during the 2015-16 season. USA also participates in NBC Sports´s broader effort of carrying all ten Survival Sunday matches across its numerous channels the second week of May each year. Starting in 2015, USA Network became used as an overflow feed for coverage of NHL playoff games that cannot be aired by either NBCSN or CNBC. USA Network originally launched on September 22, 1977 as the Madison Square Garden Network (not to be confused with the New York City regional sports network of the same name). The network was founded by cable provider UA-Columbia Cablevision and Kay Koplovitz. The channel was one of the first national cable television channels, using satellite delivery as opposed to microwave relay to distribute its programming to cable systems. Initially, the network ran a mix of college and less well-known professional sports, similar to those found during the early years of ESPN. In 2003, NBC (then owned by General Electric) agreed to acquire an 80% ownership interest in Vivendi Universal´s North American-based filmed entertainment assets, including Universal Pictures and Universal Television Group in a multi-billion dollar purchase, renaming the merged company NBC Universal. NBC Universal officially took over as owner of USA and its sibling cable channels (except for Newsworld International) in 2004. That year, USA premiered the sci-fi series The 4400. In 2006, USA premiered Psych, a comedy-drama focusing on Shawn Spencer (James Roday), a man with a photographic memory and learned observational skills who claims he is psychic after being falsely accused as an accomplice in a series of murders and opens up a detective agency with childhood friend Burton Guster (Dulé Hill) as an unwitting partner; the series ran for eight seasons (becoming the network´s longest-running series) until it ended in March 2014.